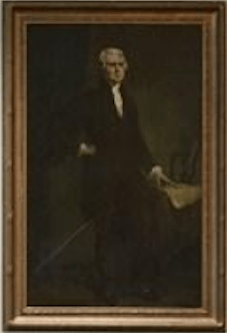 It is believed the portraits of The First Four Presidents, Washington, Adams, Jefferson and Madison were commissioned by the C.C. 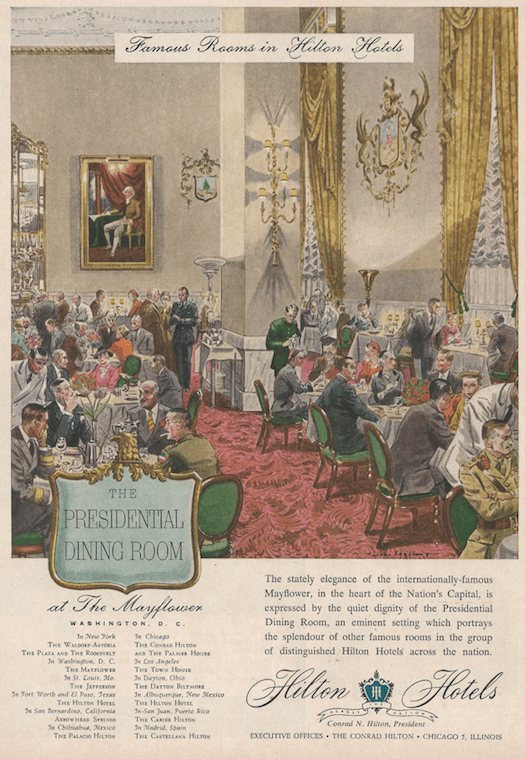 Mitchell & Company through the Albert Pick Hotel’s head decorator E. S. Bullock in 1924 for the Mayflower Hotel’s elegant Presidential dining room. 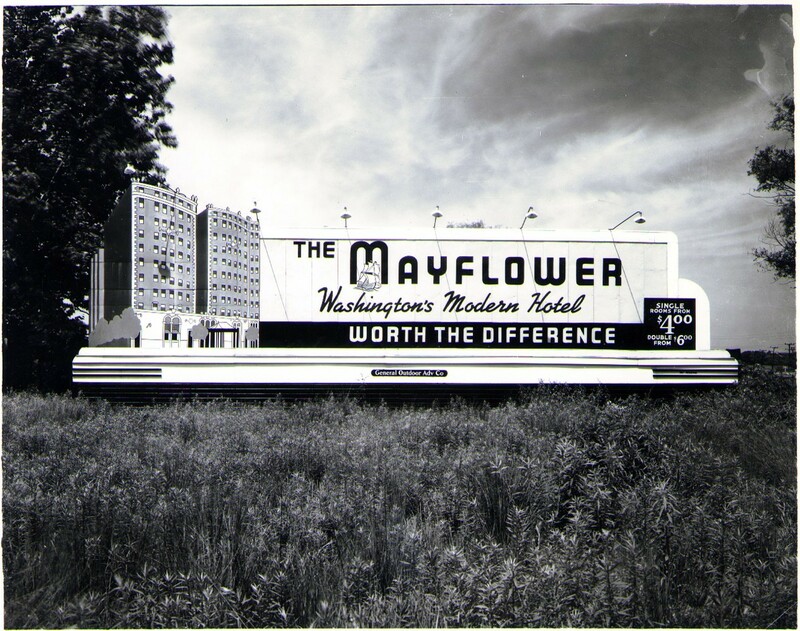 C. C. Mitchell, a Chicago based prominent hotel developer, took over the financially strapped Walker Hotel project and renamed the hotel the Mayflower before its grand opening. 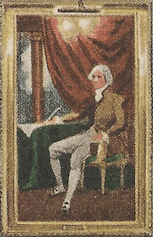 The large rectangle dining room measuring 50 x 169 feet, the largest in Washington and one of the largest in the country at the time, had two portraits on either long end of the room; Washington and Adams on one end and Jefferson and Madison on the opposite. 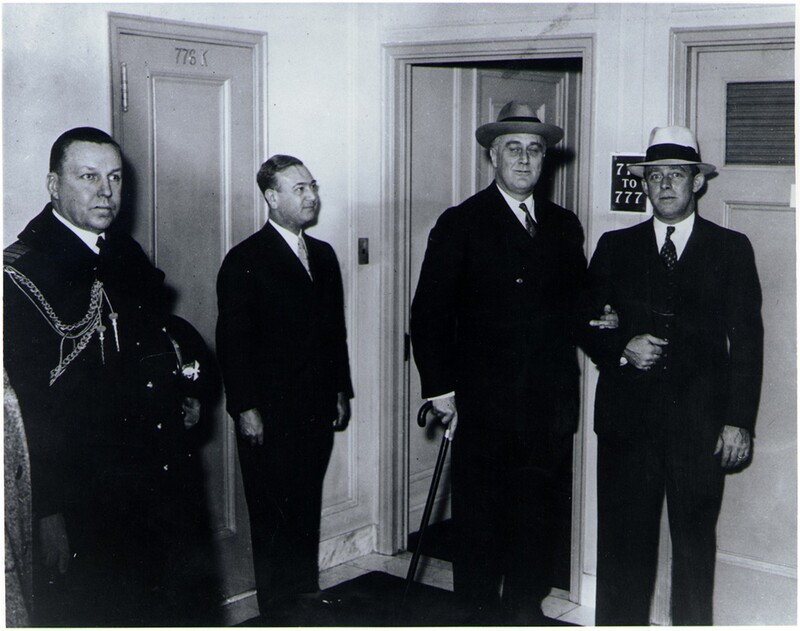 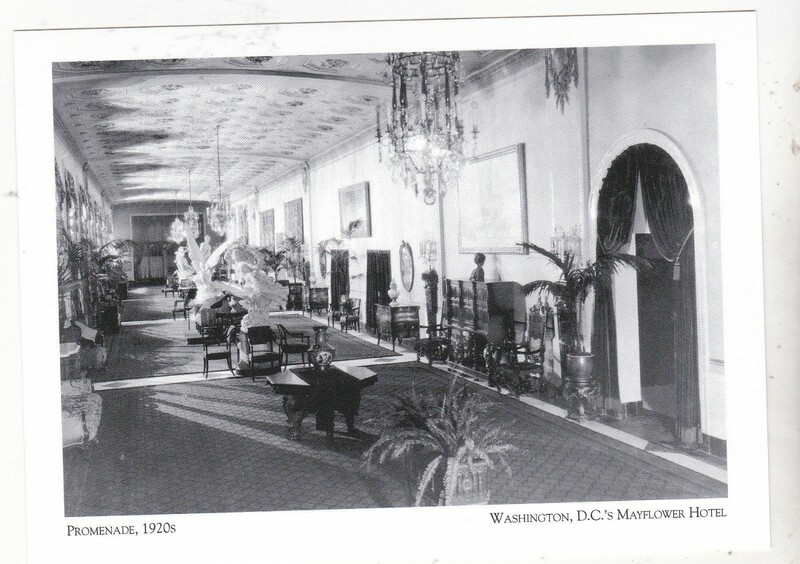 Placed on the walls and scattered between the four portraits were the coat-of-arms of the various Presidents from Washington to Coolidge. 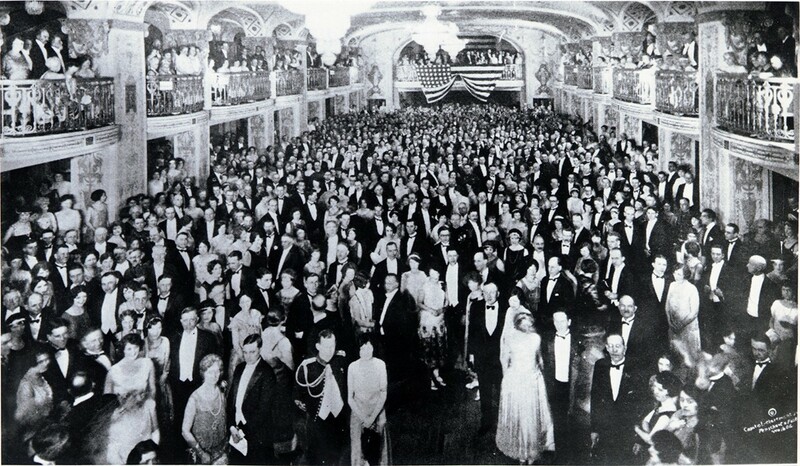 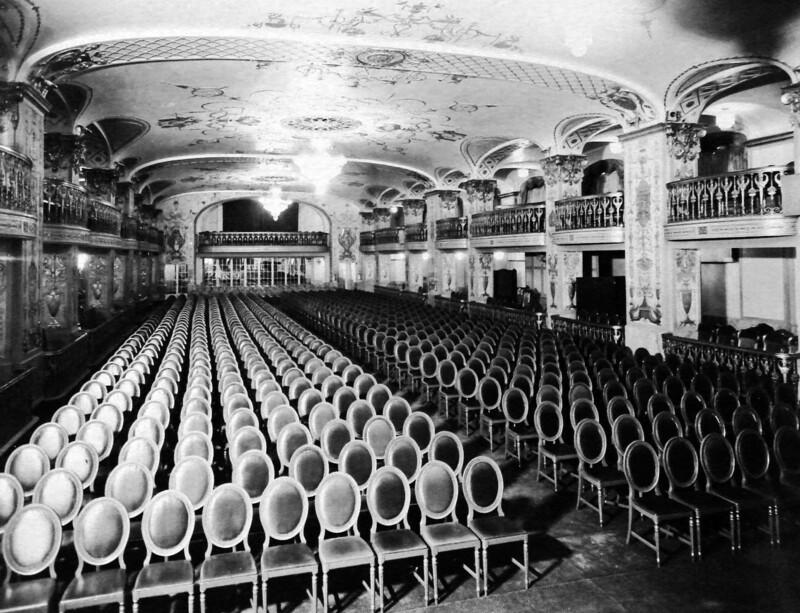 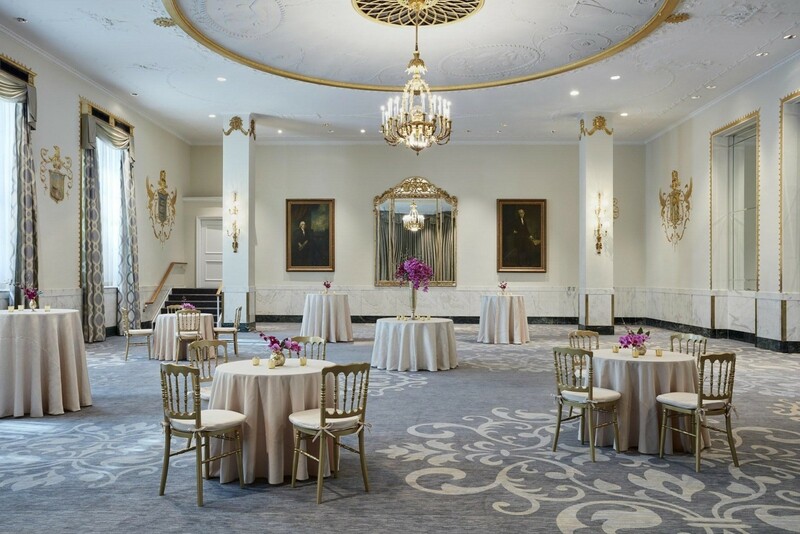 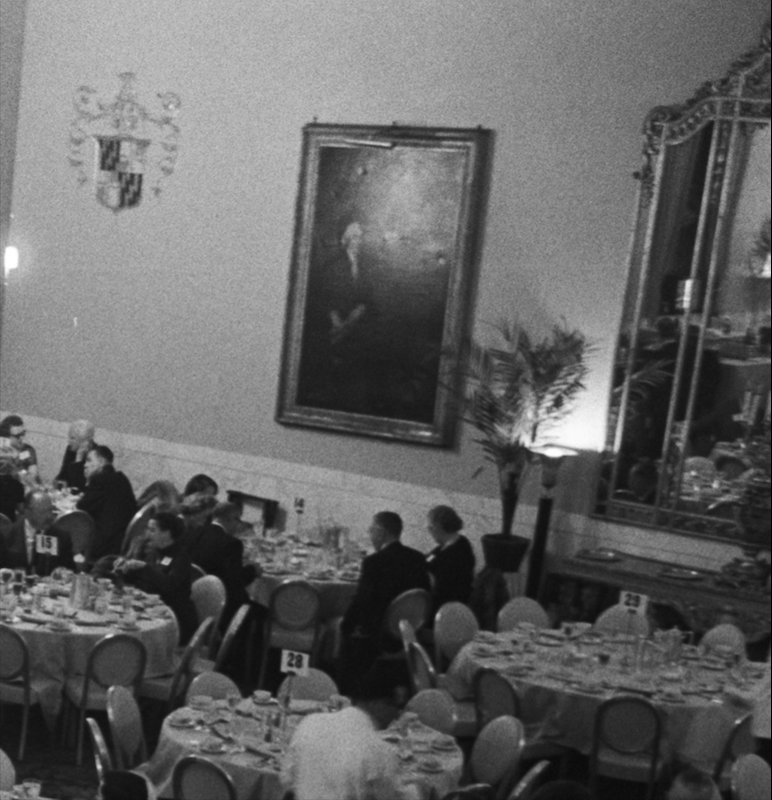 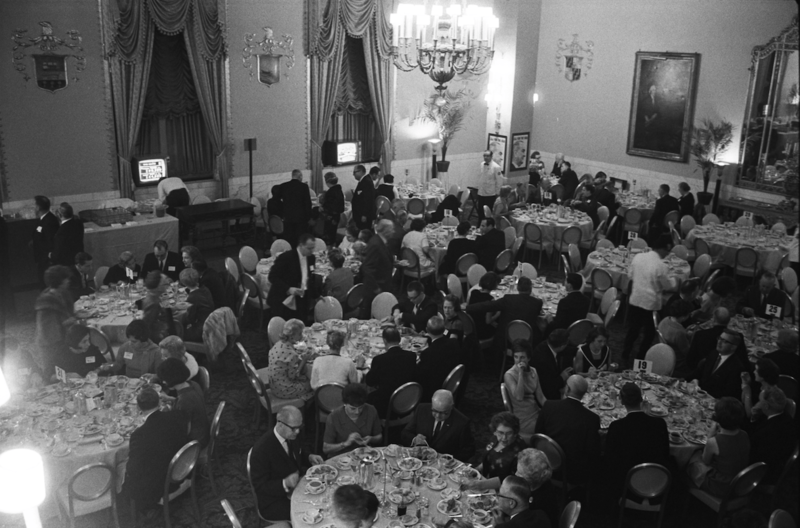 A 450 foot long corridor separated the Presidential dining room and the Grande ballroom, the peacock Alley known as the Gallery and the Palm room all on the main floor of the hotel capable of handling 5,000 guests. 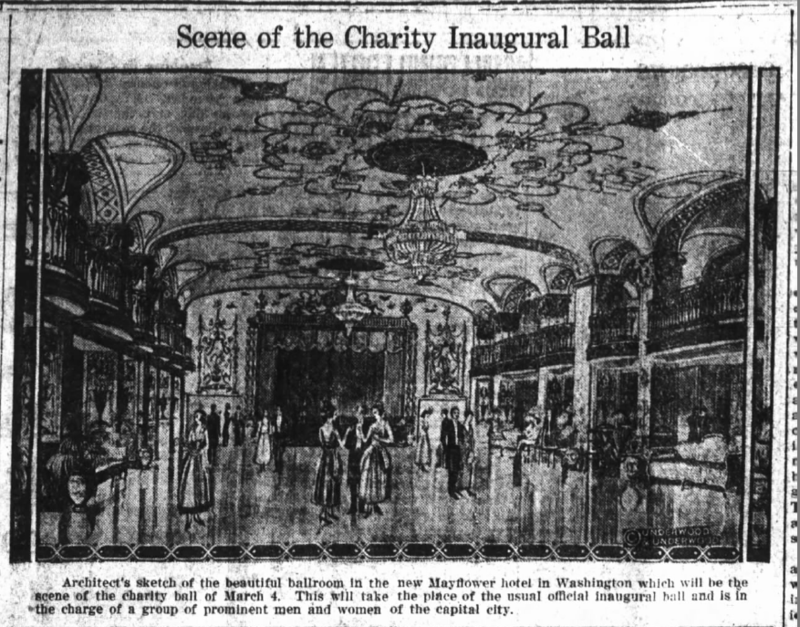 The hotel had more than 1,000 rooms, required more than a 1,000 employees to operate and cost over $11 million to build and decorate. 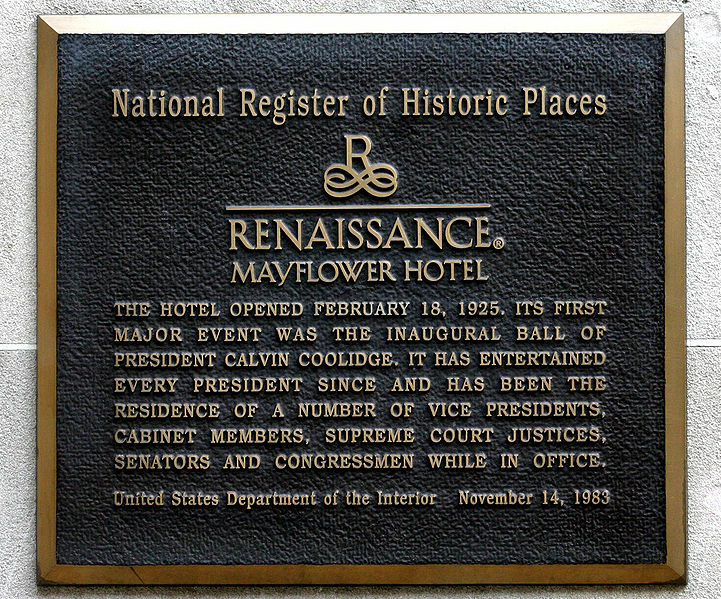 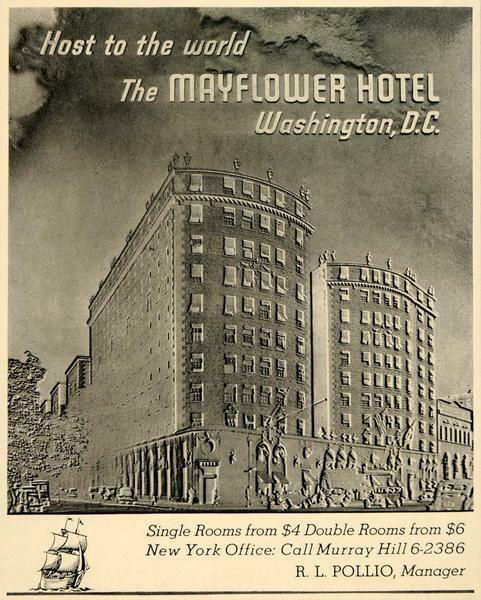 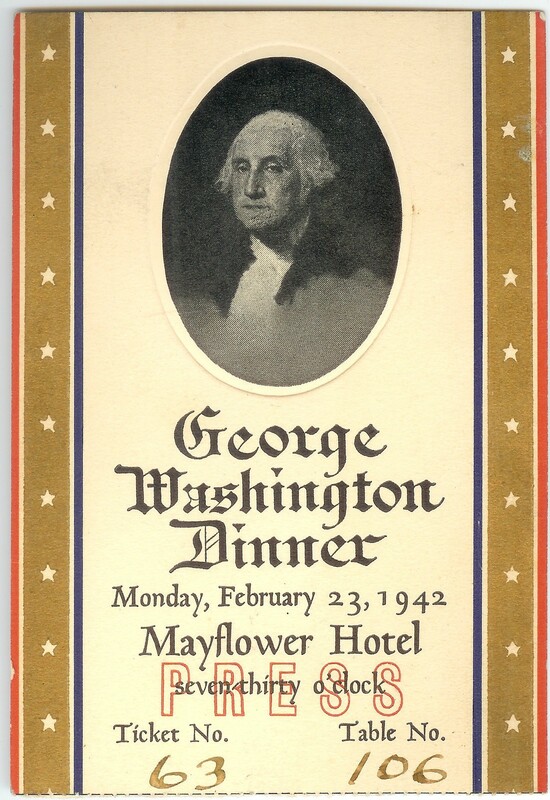 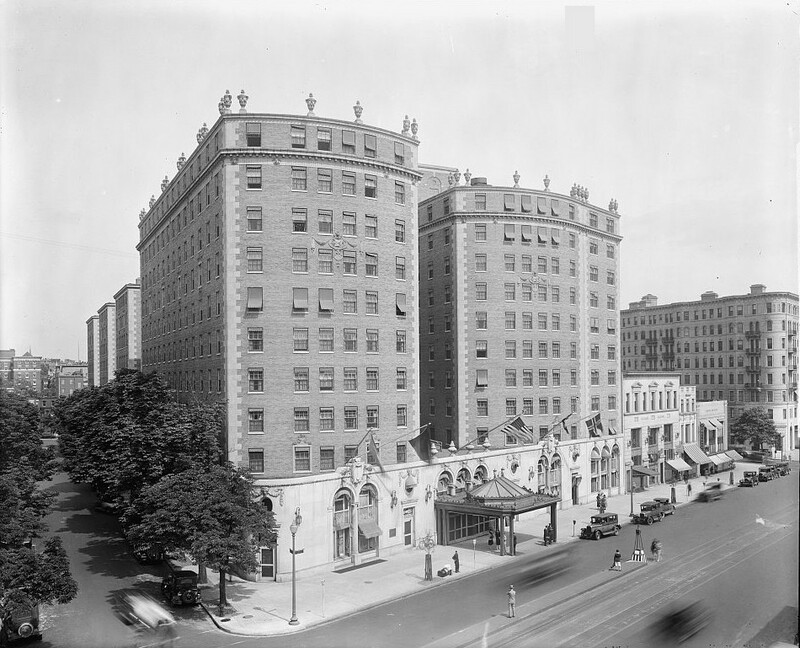 The Mayflower Hotel, originally planned as the Walker Hotel named after its builder Allen E. Walker, is located at 1127 Connecticut Ave. in Washington D.C and was the largest hotel in D.C. upon its opening. 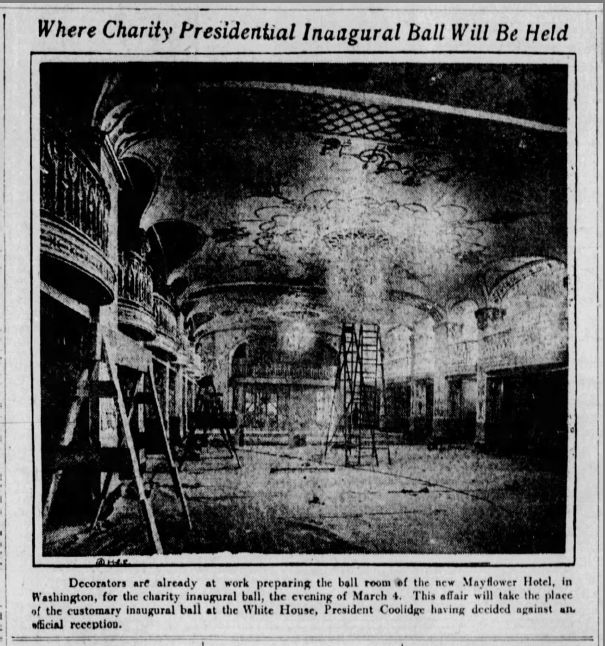 Construction began in July 1922 and was officially opened on February 18, 1925 although the building was completed by September 1924. 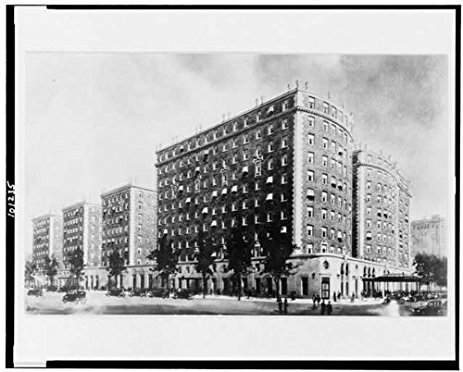 Designed by the renowned hotel development firm of Warren and Wetmore but was taken over early in 1924 after financial troubles forces Walker to sell off his stakes in the Grand Dame of Washington, the Second Best Address in Washington (after the White House). 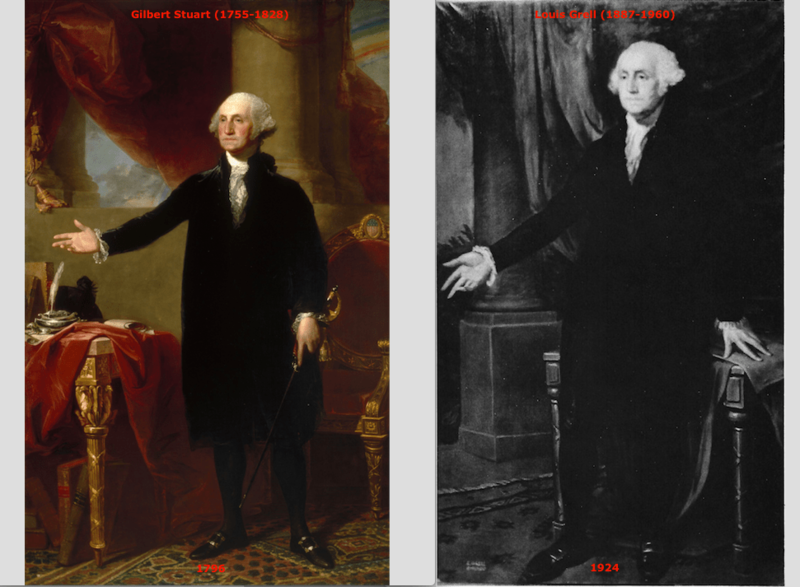 Grell’s rendition of Washington is based on Gilbert Stuart’s (1755-1828) Lansdowne type Washington (1796) portrait he painted of George Washington who sat for the painting. 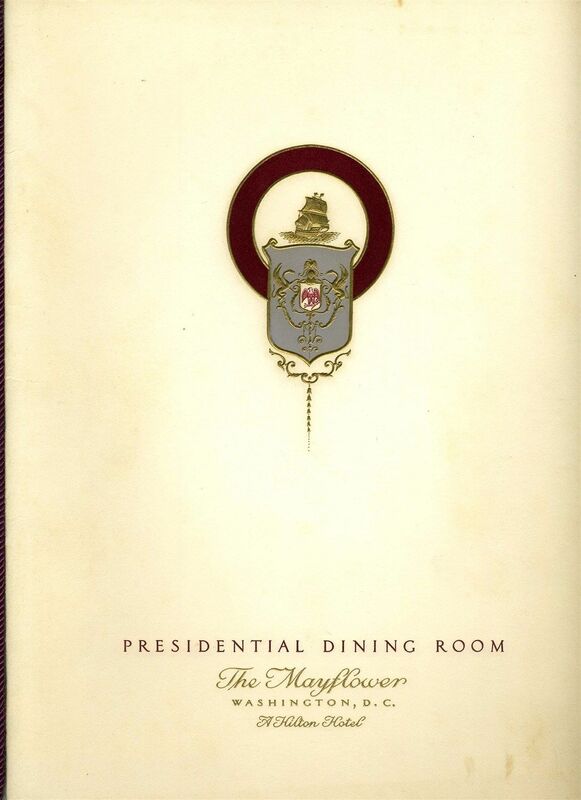 Today the Presidential dining room has been divided into the East and State rooms. 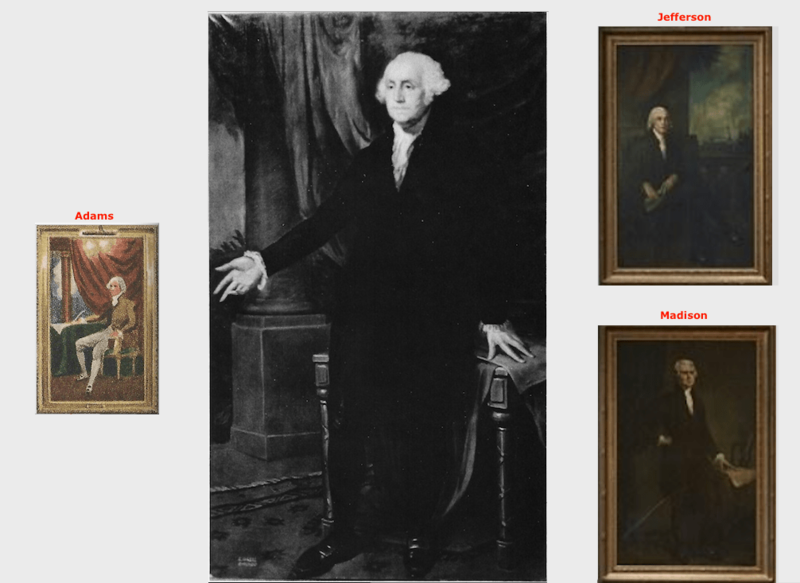 The Jefferson and Madison portraits are on exhibit in the East room. 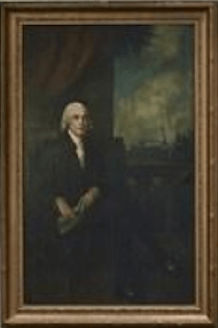 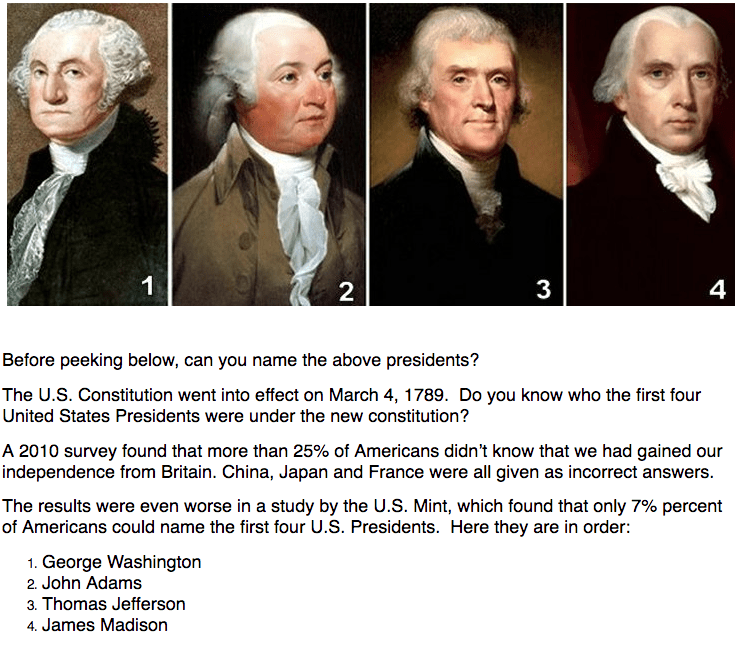 The status and location of the Washington and Adams portraits is unknown. 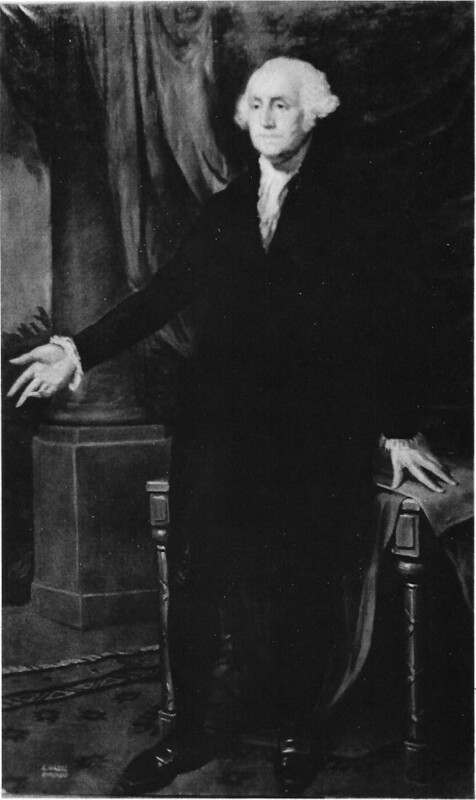 photo print of Washington courtesy of Ryerson & Burnham Library, Art Institute of Chicago, Louis Grell collection..